Pack your bags.....summer is almost here and that means.....VACATION!!!!! Don't forget your favorite flip flops, clean underwear and your K-2 METER!!! 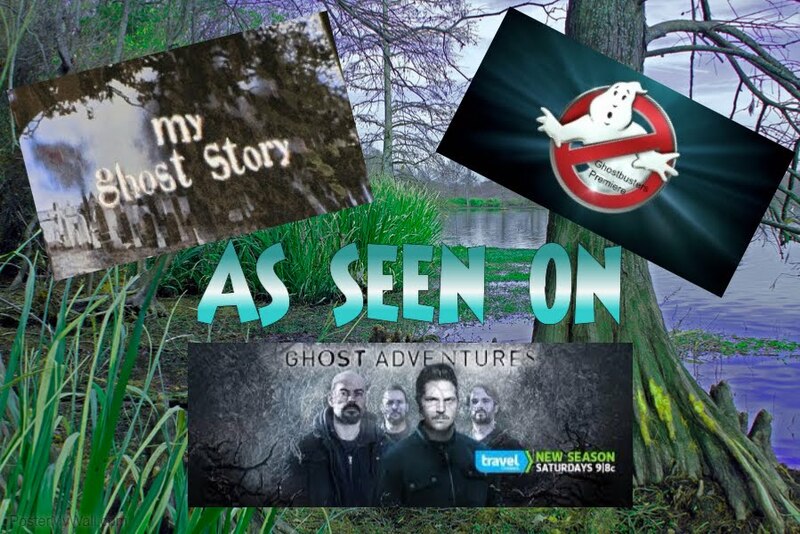 Here are some of the CREEPIEST.....MOST HAUNTED places all across the world that you may want to spend some time at this summer......that is....if your BRAVE ENOUGH!! I will be doing vacation "HAUNTED TRIPS" all summer long so be sure to watch for additional places that will make you want to sleep with the lights on! 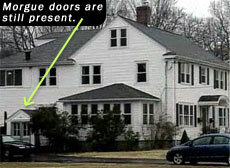 Some, you may not have heard of and some are poplar tourist stops for the "ghost hunter" in all of us but trust me.....these will make your daydreams.....NIGHTMARES!!! 1. POLVERGLIA ISLAND-This is said to be one if not THE MOST HAUNTED PLACE IN THE WORLD!!! This place has been officially closed to visitors by the government but for a STEEP PRICE and your right arm, you can preside a boatman to take you there. Across the Venetian Lagoon, far from the elegant city of Venice, lies the ghostly island of Poveglia. Uninhabited, overgrown, and out of bounds to the public, the island has a disturbing history. Originally a quarantine station for 18th century travelers who might be carrying bubonic plague, it quickly became a mass death pit for plague victims. The plague raged through Italy at the end of the 18th century and more than 160,000 that's right I said 160,000 people were thrown into mass graves or piled up on bonfires on Poveglia Island. Fifty percent of the island's soil is thought to consist of human ash. 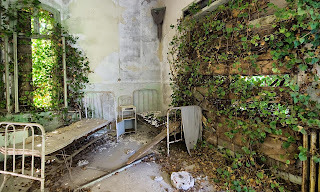 In the 1920's, the authorities built a mental hospital on the island. According to locals the psychiatrist in charge tortured and murdered his patients until going mad with guilt and throwing himself from the bell tower. The doctor is said to have survived the fall but was immediately asphyxiated by a ghostly mist that rose from the ground. Scaffolding stops the building from crumbling away, but weeds ramble over the windows, preventing any light from penetrating the lower floors. From the turret of the bell tower where the doctor's threw himself down, a beautiful view extends across the lagoon. Ghost hunters claim to have heard the doctor's screams echo inside the tower, smelled burning corpses in the rooms and witnessed the ghastly cries of the mentally ill bound to their beds. 2. 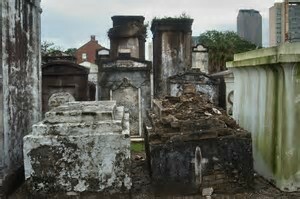 ST. LOUIS CEMETERY-I am planning on visiting this place (among others in New Orleans this June! I'll let you know how it goes) Marie Laveau was born a free woman of color in 1794 and died an old woman in 1881. Respected and feared by all, she was a legend in her own lifetime and her supposed tomb in St. Louis Cemetery receives pilgrims to this very day. A devout Catholic, Marie attended Mass daily, but she also became the most famous and powerful voodoo priestess of New Orleans. A skilled herbalist, she was widely consulted on medical matters and would sit with dying patients or condemned prisoners in their final moments, serving them their last meal. Widely sought after by people from all levels of society, Marie helped clients get a lover, keep a lover, or get RID of a lover. At the age of 25 married Jacques Paris, who mysteriously disappeared six months later. She then lived as common-law wife to Christopher Glapion and went on to have 15 children!!!! The youngest of these, also called Marie, followed in her mother's footsteps. It is said that if you visit Marie's tomb to petition herm your wish can come true. She accepts money, cigars, white rum, and candy as offerings. Some people mark three crosses on the side of her tomb to activate the magic. In voodoo it is believed that when a priestess dies, her spirit reenters the river of life and moves to the next realm, adjacent to the earthly one. 3. 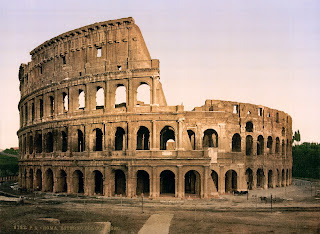 COLOSSEUM, ROME, ITALY-Many disembodied spirits are said to remain at this well-known heritage site. Tales abound of slaughtered gladiators who return by night to reenact their final combat, while invisible chariots rattle across the long-vanished sand. Visitors describe hearing Latin spoken or seeing Roman guards silhouetted against the evening sky. Countless victims of religious persecution met a grisly end in the jaws of lions and tigers here, but more horrors lay in the underground vaults where prisoners died from their wounds. The sounds of weeping slaves, swords clashing, and animals howling have all been reported. Some visitors claim to have seen figures cheering in the stadium and the ghosts of corpses rise from the ground. In the first century A.D., one of the church fathers, St. Ignatius of Antioch, was martyred here, ripped apart by lions. His ghost is said to wander the arena every night in search of his mutilated hands so that he can continue writing his epistles and letters to the Romans. In A.D. 404, a Christian monk, St. Telemachus, tried to stop a gladiator fight and was stoned to death by the crowd. The emperor was so enraged by the massacre that he stopped all gladiator sports in Rome. Many visitors to the arena have reported seeing a saintly figure crying for help. Some who may never have heard of St. Telemachus and his terrible story have also reported a sensation of being stoned alive!